The Northern Territory has the highest rate of youth detention in Australia. Inquiry needs to ask why. Australian Prime Minister Malcolm Turnbull has announced a state inquiry (known as a “Royal Commission”) into the treatment of children at a Northern Territory juvenile detention center after a report from the Australian Broadcasting Corporation (ABC) demonstrated serious abuses by corrections officers in the facility. The Four Corners program showed images and video of teenagers between the ages of 13 and 17 being tear-gassed, stripped naked, and one hooded and cuffed to a mechanical chair. The report also demonstrated evidence of children being kept in solitary confinement without natural light, running water, or airflow, in cells smelling of urine. The screening of this investigative report has created momentum toward a thorough investigation into the criminal justice system within the Northern Territory, not just the abuses exposed on the Four Corners program in this one facility. The Northern Territory has the highest rate of youth detention in Australia. The region imprisons children at a rate almost five times the national average. On top of this, Indigenous Australians constitute around 95 percent of those in youth detention in the Northern Territory, while they make up just 30 percent of the territory’s population. While the abuses at the Don Dale Center were not exclusively perpetrated against indigenous teenagers, due to their high rates of incarcerations, they are disproportionately affected by any systematic misconduct within the detention system. This incident has highlighted the need for a serious inquiry into why so many indigenous youth are trapped within the criminal justice system from an early age. In 1987, a Royal Commission was launched to investigate the high number of indigenous deaths in custody, after either an arrest or conviction. The subsequent report, released in 1991, concluded that “glaring deficiencies existed in the standard of care” afforded to those held in custody. One of the five commissioners who oversaw that report was current Labor Party Senator and indigenous elder, Pat Dodson. In relation to the incidents at the Don Dale Center, Dobson has stated that the Northern Territory corrections system has displayed “no concept of the duty of care” towards those in custody. Yet the previous Royal Commission into indigenous deaths in custody did not investigate the reasons why so many indigenous people, especially youth, end up in the criminal justice system. This has been highlighted by the Northern Territory’s chief minister, Adam Giles, who stated he would like to see the proposed new Royal Commission investigate the “root causes” for the Northern Territory’s high rate of youth detention. The most obvious indicator is that the Northern Territory lags significantly behind other states and territories in educational participation and outcomes, inhibiting the number of opportunities available to both youth and adults alike. This may not just be a factor in the levels of crime, but also a factor in why the criminal justice system in the Northern Territory treats minor offenses so harshly, their rehabilitation systems are ineffective, and people who have an inability to perform their jobs ethically are hired in facilities like the Don Dale Center. Without higher levels of educational attainment, the region isn’t able to move away from knee-jerk, punitive coercive action as a primary solution; meanwhile the core problems persist. Tellingly, it is the Australian Capital Territory (ACT) that has the best educational outcomes and lowest imprisonment rates in the country. As a sanctuary of people who work for the Federal government, the ACT looks after its own very well, but is failing to do so for regions of less privilege. For a Royal Commission into these incidents of abuse in correctional facilities to be truly impactful, its parameters of inquiry will need to address the broader issues of disadvantage within the Northern Territory, and in particular among its indigenous population. While a Royal Commission will take several years to deliver its findings, an election will be held in the Northern Territory on August 27. 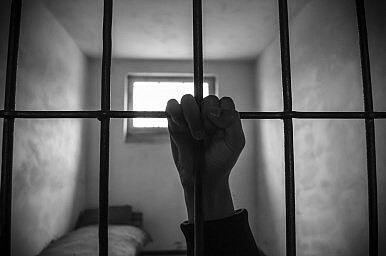 This presents an opportunity for the territory to engage in some serious self-analysis about how it wishes to deal in the short-term with the major problem of youth incarceration, alongside specific issues of abuse.